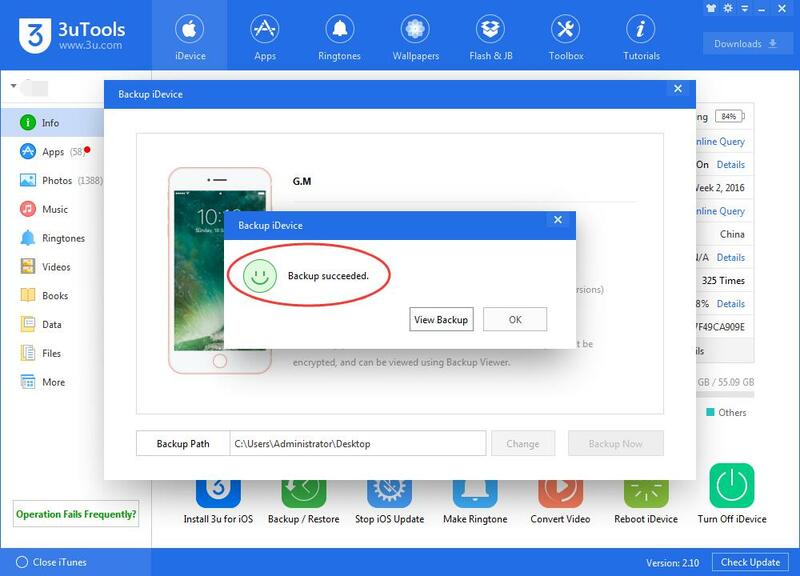 Although it's not likely you'll run into trouble with the new OS, better safe than sorry. Here's a quick refresher on manually backing up your data. 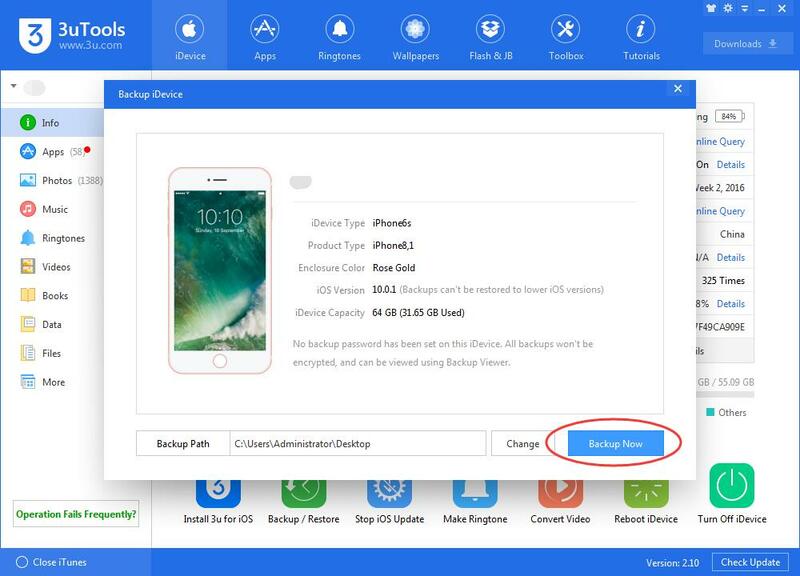 Before you upgrade, however, it's a good idea to make sure you've got a full backup of your iPhone, just in case something goes wrong. 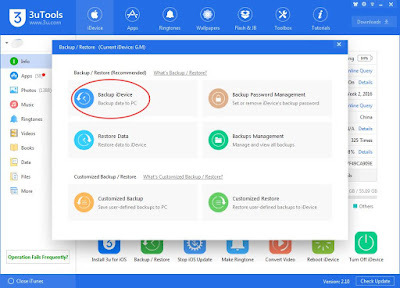 Step 1: Download and install the latest 3uTools on PC. Connect your iPhone to PC via USB sync cable. Run 3uTools. Step 2: Click Backup/Restore -> Backup iDevice -> Backup Now. Step3: Please wait patiently until this process is completed. That's all there is to it! 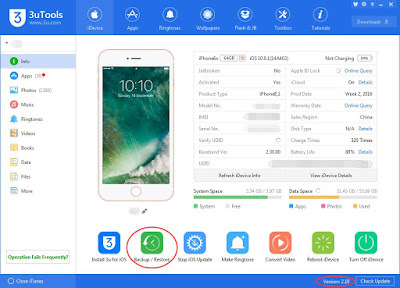 Now you can go forth and install latest iOS, with every confidence that if something gets mucked up along the way, you'll be able to restore your iPhone to its previous, working state.